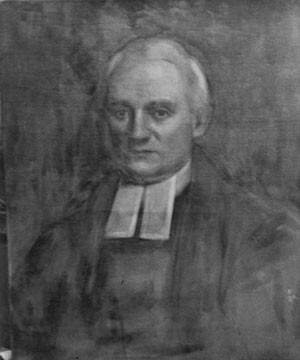 Following the retirement of William Samuel Johnson, the Columbia College Trustees elected the Reverend Dr. Charles Henry Wharton, Rector of St. Mary's Church, Burlington, N.J., president on May 25, 1801. Wharton signified his acceptance early in the following August but resigned the office on December 11th of the same year. There is no record in the minutes of the Trustees of his having rendered any collegiate services, though Bishop Doane, in a notice about him, speaks of his having presided at Commencement. His acceptance of the Presidency of the College did not sever his connection with St. Mary's Church, where he continued to be rector until his death.